Super opportunity to buy this very affordable 944 sq. ft. two bedroom corner suite! Beautifully remodelled. 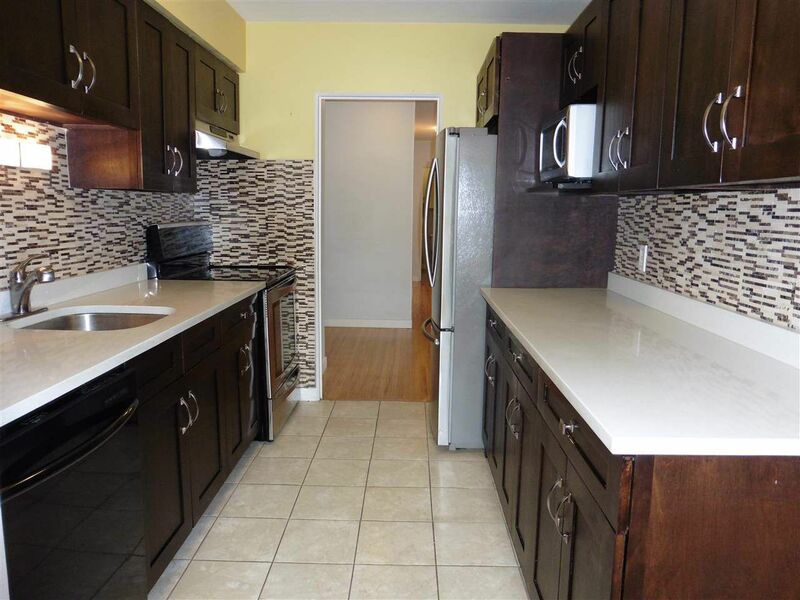 You'll love the gourmet kitchen with newer cabinets, countertops, fixtures and stainless steel appliances. Lovely newer full size bathroom. Huge party sized living room that could also accommodate a large dining room suite. Large bedrooms with lots of closet space. Gleaming original oak hardwood floors throughout the suite. Newer vinyl thermal windows with screens. A well maintained character building with 6 year exterior paint and a 12 year roof. Reasonable maintenance fee includes cable, heat and hot water. Oversized storage locker and one open parking space. Pets and rentals OK. Very convenient location. Only steps to Queens Park and a short walk to skytrain. Excellent value!